Product prices and availability are accurate as of 2019-03-03 23:59:37 EST and are subject to change. Any price and availability information displayed on http://www.amazon.com/ at the time of purchase will apply to the purchase of this product. 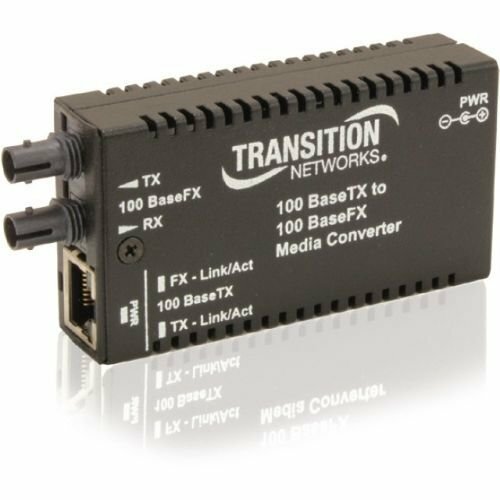 Used in pairs or as a single unit, this mini media converter will ease the integration of fiber optic cabling into copper-rich Fast Ethernet environments. Fiber supports the transmission of Fast Ethernet data over much longer distances than is possible twisted pair. 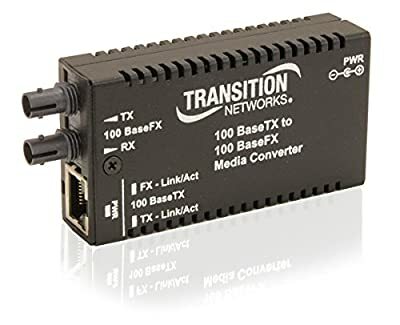 As a layer-1 design, this Mini converter will retransmit Fast Ethernet signals without any store-and-forward packet inspection delays found in other layer-2 devices.